The recent heat wave has made it quite a challenge to keep plants and flowers from burning out. It may have also caused a spike in your water bill. 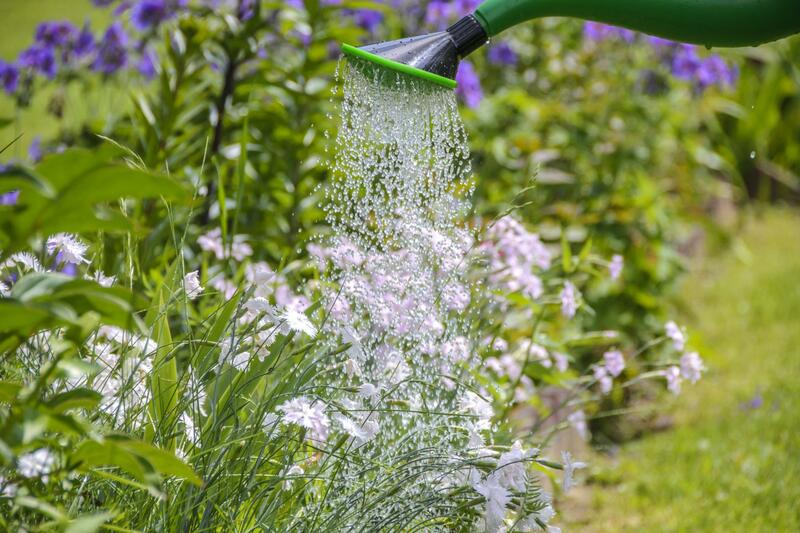 Here are some tips from our landscape architects to help you to learn to water more efficiently. 1. Water the roots. Despite what some may think, the roots are the actual part of the plant that needs water. Spraying the leaves and flowers wastes water, is inefficient and can promote the spread of disease and cause plants to rot. When planting, make sure the plants root system has the ability to spread and is loosened up so that water doesn’t run outside the root ball leaving the interior roots dry. 2. You may be watering too much! Automatic timers are great but be mindful of the weather, don’t be the person that has their sprinklers running while it’s raining. Over watering can be just as damaging as lack of water. The best way to test, touch the soil. If it’s dry, water! 3. Fast or slow? A slow soaking is typically more efficient than a heavy barrage of water because it is more likely for water to runoff. 4. Pick the right time of day. Morning is a great time to water in case of wetting the foliage; it has all day to dry out. Although, after a long summer day, potted plants could use a drink to perk back up. 5. Mulch helps. Mulch reduces surface runoff and slows evaporation, keeping your soil moist longer. 6. Try something different. Improve your watering by adding a rain harvesting system and rain barrels. There are many ways to create your own barrel from cheap trashcans to the more expensive oak barrels, rain barrels can be any shape, size, color, etc. A little bit of paint can go a long way to help blend your water system, and the use of an old barrel can become a focal point/amenity instead of an eye sore! Not feeling so creative, there are thousands of pre-made options that can be found at your standard Lowe’s or Home Depot and online.